Available boat ramp about 100 yards from lot. Easy access. Built your dream home on the great lot located minutes form the ocean and shopping center. 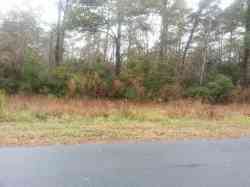 This nice partially wooded lot has a 4 bedroom septic already in place, priced to sell! Don't let this one get away! Build your dream home on this one acre lot located in pecan grove plantation. This gated community is complete with amenties that include a club house, pool, game/media room, fittness center, tennis courts, play ground, boat ramp/storage, side walks throughout. All this and it is in topsail school district. Very nice, high lot in residential setting-homes only. Just a few minutes to surf city and The beach!